Many patients at Anacapa Dental in Oxnard have been improving their smiles with Invisalign. Invisalign is an alternative to traditional metal braces, providing you with a series of clear, BPA-free plastic aligners that you wear in order to correct imperfections in the spacing of your teeth. With a specialized treatment plan directed by expert prosthodontist Dr. Jivraj, your teeth will gradually get shifted into place without the unsightly and intrusive inconvenience of traditional braces. The best news is the Invisalign system uses a clear aligner so it is virtually impossible for others to notice when you have it on. Because the aligner is removable, care of your teeth doesn’t drastically change from your normal routine, and you don’t have to wear it when making that presentation at your next board meeting. Invisalign has the added benefits of being easier on your gums and cheeks than braces can be. As there is no sharp metal protruding inside your mouth, the chances of getting cut are drastically less as reported by his Ventura Invisalign patients. The level of comfort in comparison with braces is similar to comparing a night of sleep on your mattress to sleeping on a bed of nails. Plus, Invisalign can actually take less time to correct your dental misalignment. Overall, there is no better method to repair your smile without drastically altering your life than the Invisalign system. Many celebrities, business leaders, politicians and other prominent members of society have corrected their smile using the Invisalign system, successfully ridding themselves of imperfections such as spacing, straightness and other conditions that clear aligners can treat. Braces are metal brackets that are glued to each tooth; wires and rubber bands connect these brackets together and are tightened to bring your teeth into the desired position. This process commonly takes longer than Invisalign to achieve its’ desired result and generally causes more pain and discomfort. Braces also make it difficult to eat certain foods and the hard metal wires can result in painful mouth sores. 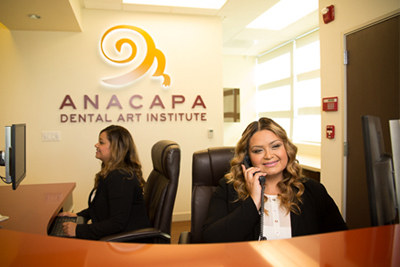 Although they have proven successful in straightening teeth, the annoyance and discomfort as well as how conspicuous they are have lead many people search out among the best Invisalign Oxnard has to offer, Anacapa Dental Art Institute. Veneers are very thin “shells” placed on the front side of your teeth, they are used to improve your appearance but aren’t actually used to correct periodontal problems so any underlying problems may get worse because they aren’t being treated, just covered up. 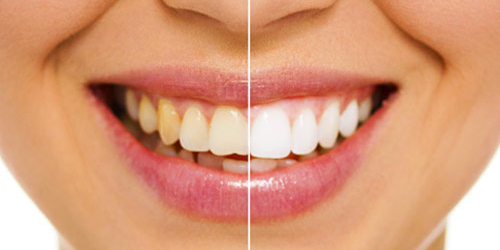 To apply veneers requires taking off the surface enamel of your teeth, this is irreversible. Veneers need to be replaced every 5 to 10 years so become very expensive for those looking for a permanent improvement in their smile. Certain foods should be avoided such as red wine, coffee and tea to prevent staining. Dr. Jivraj has helped many Oxnard Invisalign patients achieve a perfect smile with this revolutionary advancement in teeth straightening. It is simple and easy and fully customized to you and the result you want. Dr. Jivraj will take pictures, x-rays and create impressions of your teeth. From there he will plan out your treatment plan; each aligner slightly different from the last until your final aligner resulting in a beautiful smile. All the while enjoying the life you want not embarrassed by clunky metal braces and annoyed by the daily routine of meticulously cleaning inside and out the wires and brackets. In fact, your aligner only needs to be brushed or rinsed in lukewarm water. Come visit Dr. Jivraj and discover why his patients say he provides one of the best and most comfortable processes for getting Invisalign in Oxnard and all of Ventura County. Invisalign cannot correct all dental issues, so your next step is a private consultation to see if Invisalign is right for you. In this consultation, Dr. Jivraj will inspect your teeth, ask questions and gather other information to see what treatment plan is best for your goals. In this way, he strives to provide the best Invisalign Oxnard & Ventura have to offer. Please call us today to schedule your consultation.